The Feast of Trumpets (FOT) is the first of the fall feasts of the Lord and is called Rosh Hashanah which means the “head of the year” and is the start of the civil year on the Jewish calendar. The Religious year in contrast starts with the Passover feast. The FOT has different names such as Yom Teruah, Yom meaning ‘day’ and Teruah meaning the ‘awakening blast or shout’. Jesus’ first advent or coming fulfilled the first four spring feasts given by the Lord in Lev 23. It is very certain that He will fulfill the last three fall feasts with His second Coming. In fact the next feast we will experience is the FOT in just a few days – Sept 5&6, 2013. This feast is known as the feast that ‘no man knows the day or hour’ in which it will start. Why is this? Because it is a two-day feast and it’s start is based on the sighting of the new moon. 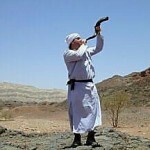 The FOT is also known for the blowing of the trumpets or shofars as they are known in Israel. There are three trumpets used in Israel – First Trump is blown for the Day of Pentecost (based on Ex 19), the Last Trump is blown for the Feast of Trumpets and the Great Trump is blown Yom Kippur or the Day of Atonement (the most important feast on the Jewish calendar). The blowing of the trumpets or shofars are indicative of God’s plan to redeem Israel (and the Gentiles). There is much to say about the feasts of the Lord and how they have and will fulfill the First and Second Advents of the Lord Jesus Christ. Today I would just like mention briefly the relationship between the Rapture of the Church talked about in 1 Thess 4:16-18 and the FOT. Now, to begin with I am setting no dates. But what I am saying is that the Lord’s return for His Church (rapture) will occur sometime during this feast possibly this year or in one of the years to come. Read and study scripture through the eyes of the Jew and you will understand what I am saying here. Jesus was a Jew and He practiced the Feasts while He was on earth; why do most western religions and western Christians discount this and the importance of the Feasts of the Lord – His appointed feasts? The world is on the precipice of major war/s breaking out in the Middle East. 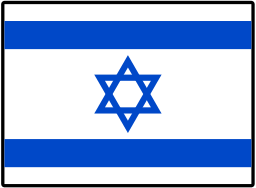 This will be a terrible time for Israel but mostly for the nations surrounding them. Many will perish and there will be much loss. Next year – 2014 – will be the start of the Tetrad – four blood moons (lunar eclipses) and solar eclipses back to back on the Lord’s Feast days in 2014 and 2015. This most certainly will signal much trouble for the Jewish nation and other nations of the world. Please read my previous article on the Blood Moons for more information. It is thought by many Bible Prophecy scholars and my humble self that the rapture will usher in the start of Daniel’s Seventieth Week (Dan 9) and the Tribulation period written about in the Book of Revelation. The big question for all of us is if this year’s FOT brings the rapture or catching away of the born-again, Bible-believing, holy-living saved Christians – are you ready? Once the rapture occurs many people will leave this earth and not return. There will be massive chaos and despair; many will try and explain away why so many people disappeared in the twinkling of an eye. The rapture may or may not occur this year or next year but if it does are you ready to stand before the Lord God. Have you confessed and repented of your sin. Are you living a life that is pleasing to the Lord and are you acting in obedience to His Word? If not, please read Romans 10:9-13 on how to get right with the Lord and do it today. For the ‘Christians’ living a secular life, a half-hearted knowingly sinful life, a playing church life, with no fear of God in your hearts – it is in your best interest to get on your knees ASAP and ask for forgiveness, repent of your sins and turn your life back around to the Lord. Folks, what I speak is serious and of great importance. Eternity is but one breath or heartbeat away. Can you say right now today that you are ready to meet the Lord? Iran Says Armageddon is at Hand – Get Ready for War! Iran keeps egging the world on, especially the US and Israel. To what end? War? Yes! They seem to want a chaotic war-filled engagement that will usher in their Mahdi. And let me perfectly clear, this Mahdi will not come with Jesus Christ. This Mahdi is a false Christ, prophet or whatever and is no way associated with the real God of the Bible and His Son Jesus Christ the Messiah. 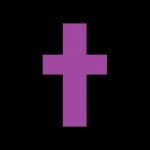 In the last days many deceivers will show up and claim to be Christ -Matt 24:5. Islam has their Jesus Christ killing all the infidels across the world. This is not Biblical and therefore is a deception -Matt 24:4-5, 24:11. Follow the Biblical Jesus Christ and He will save you, for in His death and resurrection He paid the penalty for your sin and promises eternal life with Him. 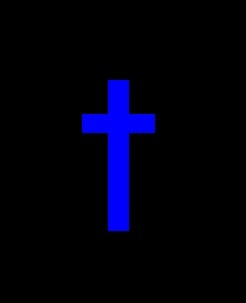 Keep alert, keep watch, keep your eyes on Israel and keep in prayer. Is a Worldwide Economic Collapse Coming? If you have been tracking the real news (not just mainstream) you cannot disagree that a widespread economic collapse is in the making and is just waiting in the wings to come on the world stage. Indicators are flashing all over the place: massive US debt, other nations on the brink of collapse, still more nations sucking money from personal savings accounts, etc. Where will all this lead? In Bible Prophesy we read for an example in Eze 7:19 that the people will cast their silver in the streets and their gold would be removed and not able to save them from the wrath of God. James 5:2 says that your gold and silver have become corroded… All this points to some very difficult times, hard times, perilous times in the last days leading up to Christ’s return. The big question is where do you place your trust? Is it in your wealth, health, family, friends, career, cars, etc? I urge you to place your confidence, trust and faith in Jesus Christ as He is trustworthy and will be coming again.